Open house Sunday, May 22, 1-2:30 pm. 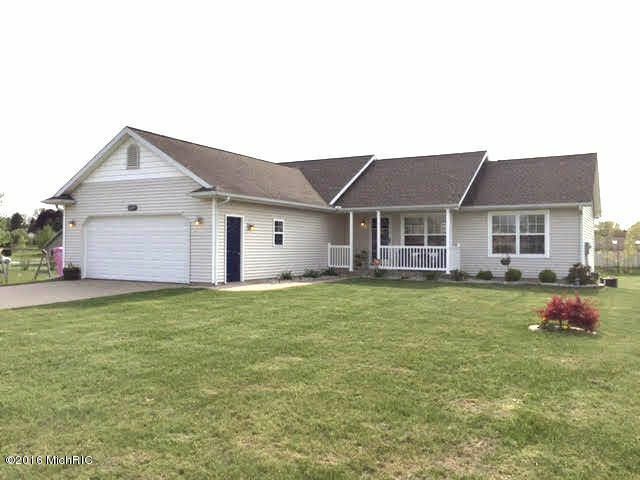 Ranch style home with finished daylight level on half acre lot in Paw Paw Schools only 15 minutes from Kalamazoo via Red Arrow Highway. Vaulted ceiling in living room. Kitchen with plenty of counter space open to eating area. Main floor laundry. Master bedroom with private bath. 2 more bedrooms and 2nd full bath. Finished lower level with daylight windows and rec room is pre plumbed for another full bath and has egress window for potential 4th bedroom. Nice deck overlooking private back yard with storage shed. Other features include security system, NEST thermostat, central air, plenty of natural light and quiet neighborhood. Great value and low taxes. Res'd freezer, wall mounted TV. Interior photos coming on 5/20.